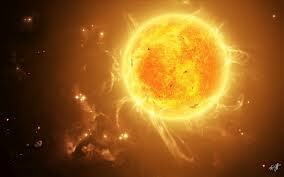 The mass of Sun is 1.989 x 1030 kg (Approximately 2 million trillion trillion kilograms). The Earth receives 94 billion megawatt of energy from Sun. This is equivalent to 40,000 times the power requirement of United states.